Many people, women and men alike, suffer from hyperhidrosis (excessive sweating). Whether it be mild, moderate, or severe, it often interferes with normal everyday activities. More and more clients are looking for ways to control this common and unpleasant problem. What many people suffering from hyperhidrosis don’t know is that there is a very effective treatment to this condition, Botox®. Botox® was FDA approved for hyperhidrosis or excessive sweating in 2004. It has long been a safe and effective method for preventing and controlling unsightly condition. 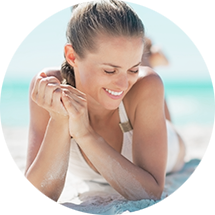 With Botox, a topical numbing agent is applied to the underarm area to desensitize the skin. The physician administers a series of small injections of Botox into the area. The injections take between 3-10 days to take effect, with a gradual lessening of perspiration each day. 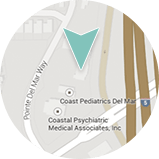 At Dermatology & Laser of Del Mar, our San Diego dermatology practice, Deborah H. Atkin, M.D. treats patients suffering from hyperhidrosis. While underarms are the most common area patients seek treatment, we see many male and female clients that are affected in other areas. Botox treatment for hyperhidrosis of the hands, feet, scalp, and even the brow is becoming a sought after solution to a soggy problem. Allergan®, the makers of Botox®, have created a survey with some helpful questions that you could ask yourself to see if you may be a candidate for hyperhidrosis treatment with Botox®. Do you carry supplies to help you manage the symptoms of your underarm sweating such as deodorant, powders or a change of clothes? Have you been treated with any prescription antiperspirant designed to control excessive sweating? How many times per day do you spend worrying or dealing with excessive sweating? Do you feel that excessive sweating interferes with any of your daily activities?